Branding, as a marketing concept, has been around since the middle of the twentieth century. But personal branding? That's taken on a life of its own. 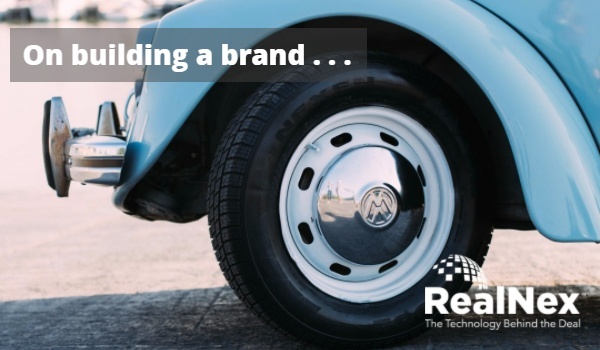 Classic branding means that well-known logos are instantly recognizable, that people hum your jingle under their breath, and that your catch phrase becomes common slang. But branding has also come to mean a focused vision. You may 'brand' an event as being about community outreach. You might 'brand' your marketing materials with blue and green and a bold, graphic look. And certainly, you should brand yourself as someone who is recognizable, trusted, and smart (among other positive attributes). It's especially important for small businesses, including brokerages to actively work on developing their own brand. It follows then, that each agent needs to differentiate themselves -- to make themselves known for something that sets them apart. Here are some ways to help build and strengthen a personal brand. Who do you want your brand to impact? Determining who you really want to reach with your branding is a key factor to building the brand. Knowing your audience includes understanding where they spend their time, their interests, their needs, and what they care about. Identifying your market audience will not only help to define your brand, but also help you determine what vehicles you will use to create awareness around your focused vision. Once you have defined your audience and considered their interests and needs, think about how you can bring value to their CRE experience. Certainly, your audience's needs will primarily center around CRE transactions, but your brand should also position you as an expert. Your "value add" might be your take on industry trends, your encyclopedic knowledge of the area, your connections with other experts. Essentially, define your brand as one that brings value to the consumer. This can be accomplished through blogging, creating infographics, emailing interesting content, putting together informative videos, or sharing relevant articles through your social media channels. You won't be able to do all of these things -- pick one to start with and develop your inner-marketer. As an agent, getting involved is an outstanding way to both add value to your community and to establish yourself as a leader. Find a cause or activity that you are interested in and that will help you meet and interact with your community. We aren't suggesting that you serve for the recognition or glory, but you might want to consider that the most successful brands are also about giving back. A personal brand is just as much about your audience as it is about you. Creating a truly strong brand, and one that has great brand recognition, requires consistency in everything you do. This is especially true with marketing materials. All marketing materials should have the same theme (colors, fonts and style). Pairing this with a recognizable logo will go a long way towards building brand recognition. In addition, be consistent with your messaging. You don't need to come up with different ways of saying the same things. Write a strong vision statement and share it as often as you can. Define your audience, create a focused vision, and stick with it. The RealNex Suite includes a marketing platform that produces beautiful, branded marketing pieces. Click here to download more information on MarketEdge -- the marketing arm of the RealNex Suite. Or, to speak with a RealNex consultant, schedule a demo below.